Boynton Beach Personal Injury Attorneys | Gonzalez & Cartwright, P.A. Suffering a serious injury due to the negligence of a third party can be traumatic, overwhelming, and, of course, costly. You will likely rack up unexpected medical expenses when a hospital visit is required, and, in many instances, extensive rehabilitation may be necessary for you to recover, if a full recovery is even possible. If you were injured and believe it was due to a third party’s negligent actions or omissions, now is the time to take action by contacting the Boynton Beach personal injury lawyers at Gonzalez & Cartwright, P.A. We are here to help and our team of legal professionals are ready discuss your options. If English is not your native language, do not fret. Our office is completely bilingual. We have been proud to represent clients in Boynton Beach, and all throughout South Florida, for over a decade. Bodily injuries that leave permanent damage within a reasonable degree of medical probability. Bodily injuries resulting in significant and permanent scarring or physical disfigurement. Bodily injuries resulting in significant and permanent loss of a bodily function. While these categories seem to only include the most severe of personal injuries, courts routinely allow personal injury lawsuits to proceed in cases involving broken bones, regardless of the probability that you will achieve a full recovery. For example, a broken leg will significantly impair your ability to walk for an extended period of time. This can create the foundation for a personal injury lawsuit, regardless of the fact that your bone, hopefully, will heal fully. Because of this threshold, a skilled personal injury lawyer in Boynton Beach with substantial experience handling these types of lawsuits can be key to ensuring you recover financial restitution for your injuries. Our lawyers have been nationally recognized by the Martindale-Hubbell Lawyer Rating Service as an AV-rated law firm, which is the highest possible rating a law firm can achieve. We have also been recognized by Super Lawyers and Top Latino Lawyers. 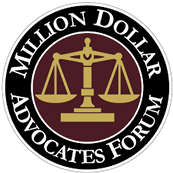 In addition, we are members of the Million Dollar Advocates Forum. Our skill and compassion have been widely recognized throughout Boynton Beach and elsewhere in South Florida. We are here to help all members of our community fight for their rights to be fairly compensated for personal injuries caused by the actions of a negligent party. At Gonzalez & Cartwright, P.A., we pride ourselves on providing skilled and effective legal representation to our clients in Boynton Beach and throughout South Florida. We are active members in the South Florida community so we identify with our clients. Our legal team knows how difficult it can be to obtain top-notch legal representation when you are not a native speaker of the English language, or when you are concerned how the pursuit of compensation for a serious personal injury could impact your immigration status. 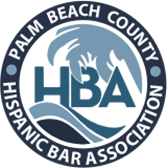 Our Boynton Beach personal injury lawyers offer a safe and secure environment where you can feel at ease in discussing your case, regardless of immigration status or your ability to speak English well. Our Boynton Beach personal injury lawyers understand that your primary focus is on achieving a full recovery from your injury. We are available to come to you in the hospital or at your home to discuss your case. Evening and weekend appointments are available. In addition, we provide clients with a free, confidential initial consultation to give you our straightforward and candid analysis as to your chances of recovering financial restitution. You can contact our office via phone call to schedule an appointment today. You can also fill out this online form, and we will respond promptly. FAQ: What should I do if I am unable to identify who is legally responsible for causing my serious injuries? Our lawyers will investigate the case to determine whether a negligent party was liable for your injuries. In some instances, more than one party may be held liable through Florida’s joint and several liability rules, which establish a system for determining who is liable for financial restitution when multiple parties were responsible for your injury. Parties who are determined to be less than 10 percent responsible will not have to pay compensation, while parties who are between 10 percent and 25 percent liable can be responsible for up to $500,000 in damages. If a party, or parties, is found to be between 25 percent and 50 percent liable, they can be responsible for up to $1 million in damages. The party, or parties, found to be more than 50 percent liable may have to pay up to $2 million in damages. FAQ: How does a Boynton Beach court determine if my injuries are sufficiently damaging to approve the pursuit of a personal injury lawsuit? Every personal injury case involves a thorough analysis of the facts and circumstances. Bruises and sprains typically do not rise to the level of a serious personal injury that warrant a lawsuit. However, a broken bone may be sufficient to move forward with a case. Further, different injuries impact some individuals differently, and this is taken into account during your case review. If your injury falls within a legal gray area, it is especially important to gain the help of an experienced Boynton Beach personal injury lawyer to argue on your behalf.